Dele Alli has claimed the EA SPORTS Player of the Month award for January. No player scored more than the Tottenham Hotspur midfielder's five goals last month as the north Londoners stepped up their Premier League title challenge with three wins and two draws in the month. Alli scored twice at Watford in a 4-1 victory on New Year’s Day, and repeated that feat three days later as Spurs ended Chelsea’s 13-match winning streak with a 2-0 win at White Hart Lane. The 20-year-old triggered a fightback with Spurs' first goal at Manchester City as Mauricio Pochettino’s men rallied to earn a 2-2 draw at the Etihad Stadium on 21 January. "The team's done very well this month, not just me individually,” he said. “We've had lots of players in form so it's an honour to win it." 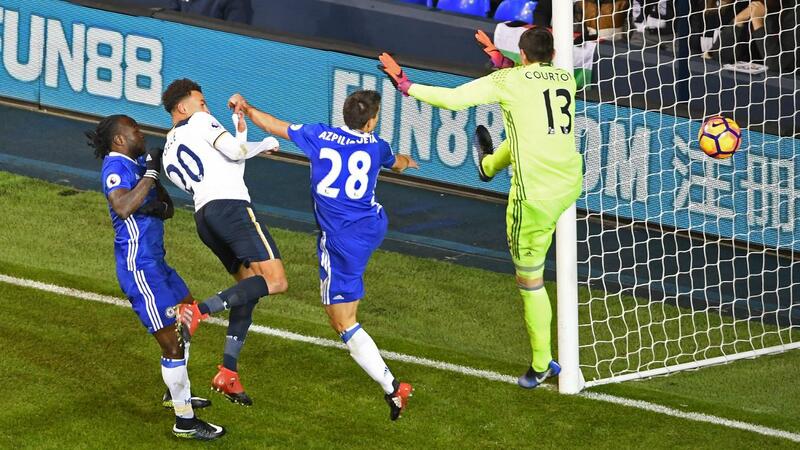 Alli, who also provided an assist in Spurs’ 4-0 win over West Bromwich Albion on 14 January, beat a five-man shortlist that featured Harry Kane, Seamus Coleman, Alexis Sanchez, and Gylfi Sigurdsson. The England international received the most votes combined of a panel of experts, Premier League captains and the public. Alli will hope to add to his goal haul when Spurs visit Liverpool at 5.30pm BST on Saturday.